Do you have weekly services? Housekeeping is not what many would think. It does not consist of cleaning residential homes. Rather, it refers to "janitors" that have been specifically trained and educated by a certified ﻿Registered Executive Housekeeper (Carlos Diaz, Jr. R.E.H, President of Bellamie, Inc)﻿ in the practices of safely cleaning and sanitizing medical facilities. These housekeepers are very important to our company when handling a location that provides health services to the public. NO clinic, NOR janitorial company should combine without the proper staff being implemented into the cleaning system. Why doesn't my wax floor shine? CAN I you just mop and high speed buff? Showing up to mop and buff is not our first resort, nor our second resort. 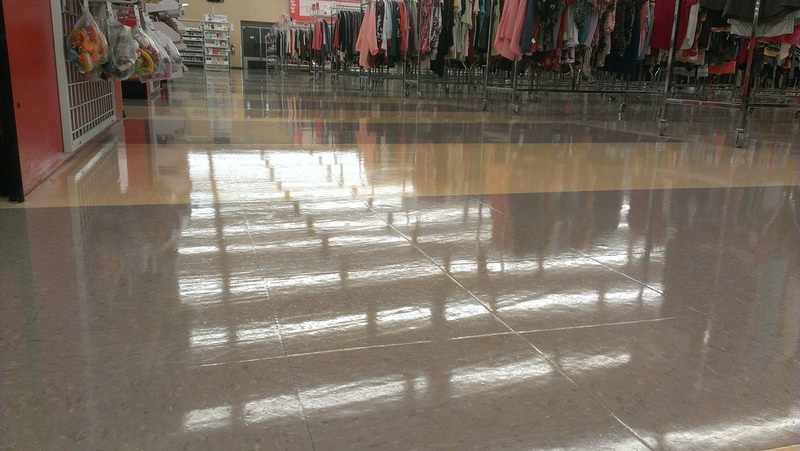 The condition of a wax floor is a reflection of a business' practices. The last thing you want is for a customer to wonder how you can take care of them if you can't even take care of your business. So solving the problem should be a top priority. Furthermore, it is always a reflection of us, Bellamie Inc. In order to ensure a bright shine, we strongly stick to high speed propane buffing floors that we have already scrubbed and coated with our preferred selection of wax brands. Do we need to provide the supplies for regular janitorial services? That will not be necessary. In fact, we strongly recommend our own supplies. Our staff is very well trained in disinfecting, and maintaining a clean and healthy environment from top to bottom. This is done through consistency with using the same products that they're already familiar with, and understanding the safety procedures through their MSDS binders. Do you simply charge by the square footage? No. Although square footage is a key element is our cost analysis, the important factors also include the function/use of the building in order to determine whether heavy or light cleaning/maintenance would be the norm. How exactly do your consulting services work? With difficult times in the economy, it is understandable that many businesses want to lower cost by overseeing their own in-house cleaning staff. Although the strategy seems ideal and efficient, the downfall tends to be in the execution of the system. With our experience in multiple environments, we can help train your supervisors to manage and implement proper cleaning techniques and systems. We are going green... will your company use green methods in our building? Yes. Many of our products are green seal certified and our powerful cleaning machines use less water that mopping by bucket? Do you provide an emergency clean up service? Yes. In most cases we are available for emergency services involving water extraction from plumbing issues. After remodeling, can you do an initial cleaning? Yes. That would be categorized as our construction clean-up to prepare the new facility/or section of a building for use and a clean presentation. What about removing a few stains? Yes. We have equipment for spot removal. Despite the availability of carpet cleaning equipment for rent to DIY work, many inexperienced users don't properly extract the stain and simply saturate it with water, which can spread the stain and carpet cleaning chemical. Did this page help you? If not, please contact us and we will answer you as soon as possible. Furthermore, you're question may get posted and help others in the future!